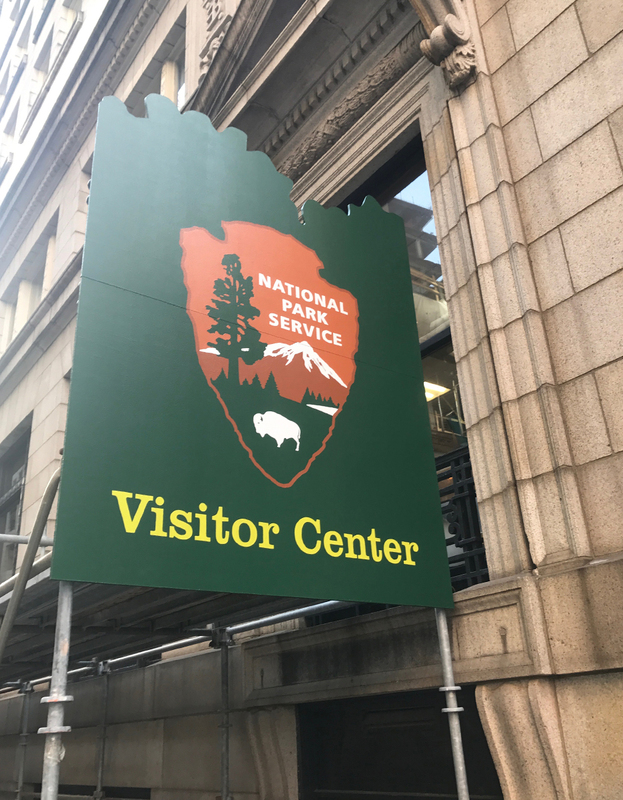 The National Park Service Headquarters in Boston recently moved to a new building on Devonshire street. 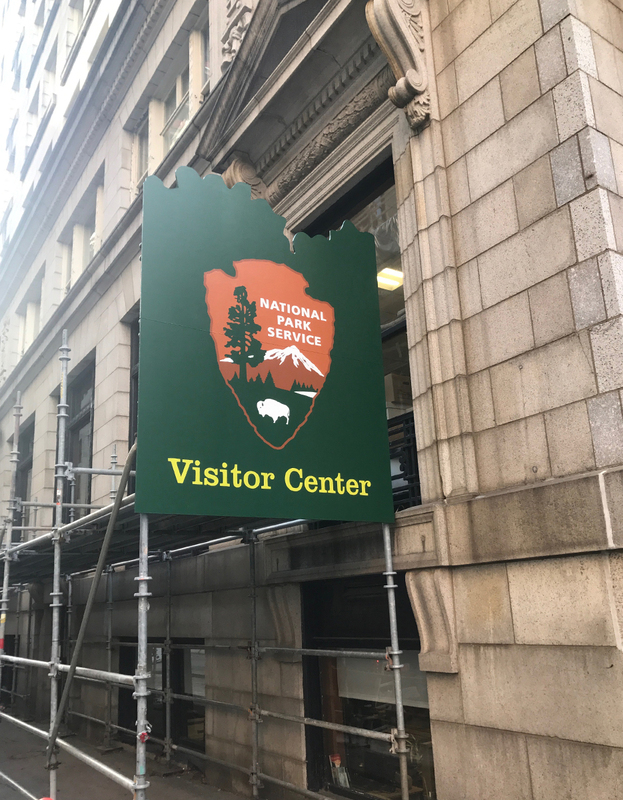 The building is in need of a long-term facade improvement and we were tasked with creating custom exterior signage for the renovation scaffolding, thanks to the good folks at Visual Dialogue. 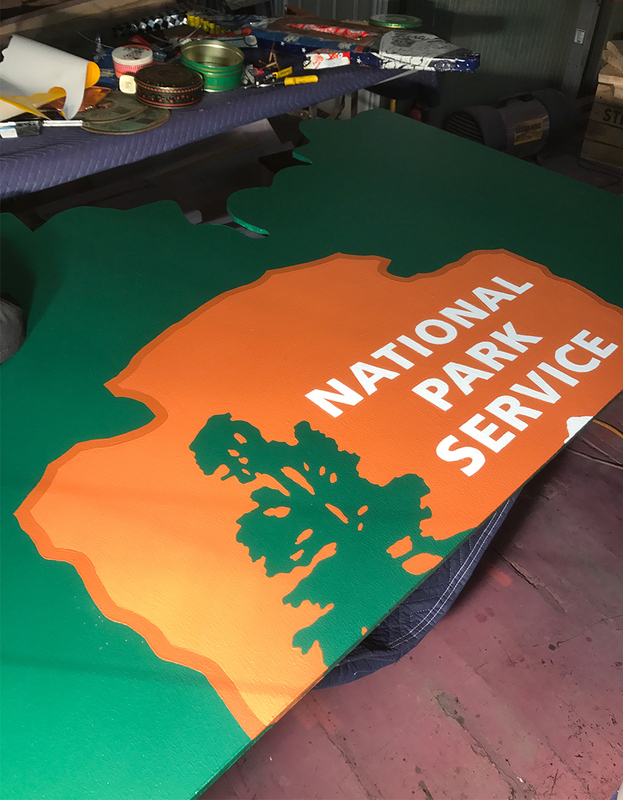 We several sheets of all weather plywood to look like a forest canopy silhouette and hand-painted the NPS logo across them. You can find the sign in the heart of downtown Boston right off of State Street.